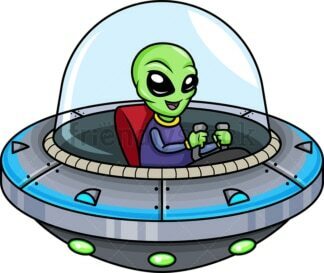 Royalty-free stock illustration of a cute green alien flying a spaceship that looks like a saucer. 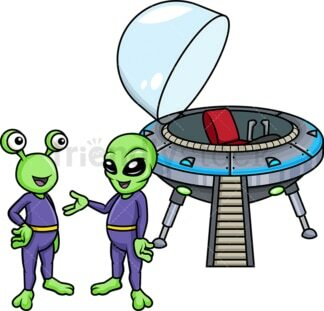 Royalty-free stock illustration of two green aliens talking to each other and making plans after landing. The flying saucer has its hatch open and stairs extended. Royalty-free stock illustration of a blue alien running away and looking scared as he gets chased by an adorable puppy. Royalty-free stock illustration of an alien grey with no suit standing up straight and staring at someone or something with an intense look on its face. 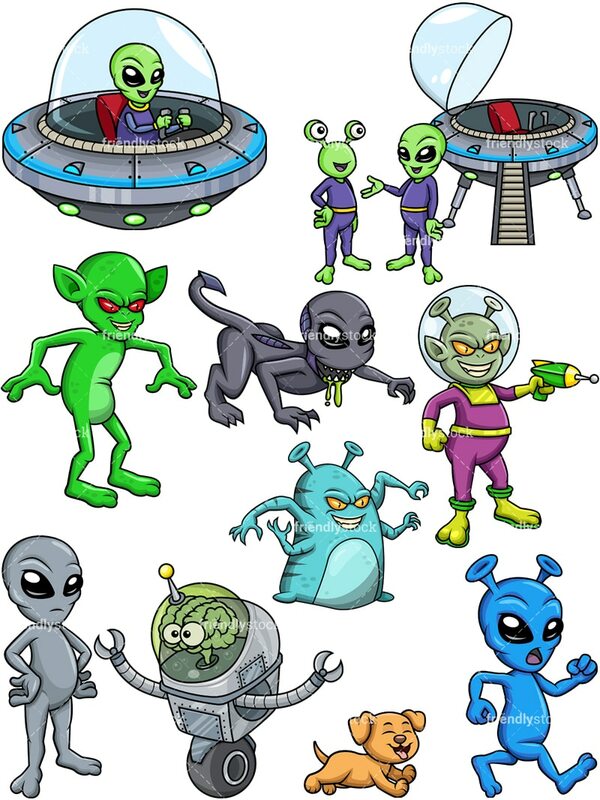 Royalty-free stock illustration of an evil alien in a space suit, wearing a see-through helmet and pointing a laser gun at someone or something. Royalty-free stock illustration of an evil alien being with four hands, standing on alert with a cunning look on its face, ready to attack or scare someone. Royalty-free stock illustration of a scary green alien being with red eyes. 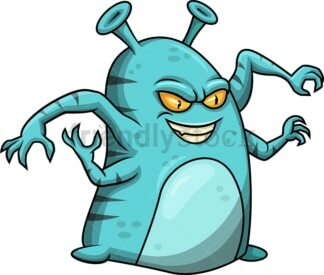 Royalty-free stock illustration of a bizarre and scary dark-grey alien monster with a tail, crawling on all fours while green slime comes out of its mouth. 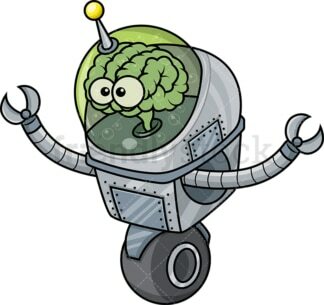 Royalty-free stock illustration of an alien robotic creature with mechanical parts and a head that looks like a human brain with eyes on it, protected behind a see-through glass, moving with a single wheel.